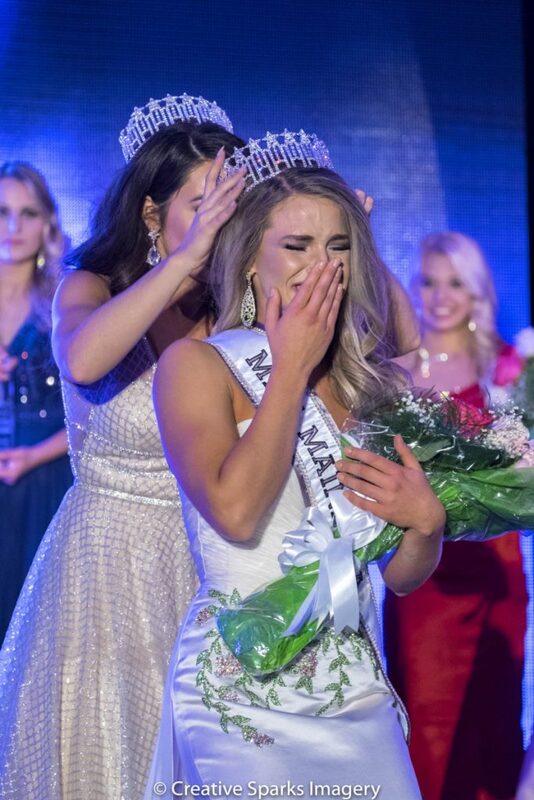 Marina Gray legally broke away from her parents at age 16, graduated from high school in three years, joined the Army National Guard, and now has her sights set on becoming a motivational speaker or documentary filmmaker – and maybe Miss USA. Marina Gray of Portland, the reigning Miss Maine USA, says, "I think all the challenges and adversities I've faced were handed to me because I was strong enough to overcome them." Gray said she looks at competing in the Miss USA pageant as both a goal and part of her long-range plan for her future. Though she’s now the reigning Miss Maine USA, Marina Gray says she’s spent much of her life feeling uncomfortable in dresses and high heels, and knew little about applying makeup. In her tween and teen years especially, she had more pressing things to think about. Her parents divorced when she was 10, and Gray became largely responsible for keeping herself well-fed, managing her time and finding rides to after-school activities. She says she lacked emotional support and guidance from her parents and often spent nights at friends’ homes. At 16, she went to court and won her emancipation, relieving her parents of responsibility for her and allowing her to live on her own and sign legally binding contracts, such as a rental lease. She graduated from high school in three years, joined the Maine Army National Guard for tuition money and graduated from the University of Maine. People who knew her as a teenager are surprised that Gray entered the Miss Maine USA pageant last fall, but they are not surprised she won. Gray, 23, will represent Maine in the Miss USA Competition on Monday in Shreveport, Louisiana. Gray, who lives in Portland, looks at competing in Miss USA as both a goal and part of her long-range plan. She would love to work as a motivational speaker someday, and a big part of being Miss Maine or Miss USA is making public appearances and speeches. She also feels like she had never fully embraced her beauty and was “neglecting my femininity,” for fear of not being taken seriously by others. When Gray learned that an Army Reserve officer named Deshauna Barber had won the Miss USA title in 2016, she started thinking seriously about entering a pageant. She looked at it as a challenge and as something that might help her feel more completely like the person she wants to be. Emancipation laws vary from state to state. In Maine, minors can become legally emancipated at age 16 through the courts instead of waiting until age 18 to be recognized as an adult in most matters. Becoming an emancipated minor in Maine is rare, with between 32 and 53 emancipations granted statewide each year from 2013 to 2017, according to state court records. About three times as many emancipation cases were opened in those years, meaning a juvenile was appointed a lawyer to begin the process. But many cases don’t proceed, often because some sort of agreement is reached between the juvenile and the parent or guardian or because the juvenile changes his or her mind. An emancipation order is granted, according to the statute, if the judge determines it’s in the minor’s best interest and if the minor has made “reasonable provision” for his or her room, board, health care, education and vocational training or employment and is mature enough to care for themselves. Even though she felt the need to legally take control of her own life at 16, Gray says she harbors no resentment toward her parents. Gray has maintained relationships with both of them over the years. Her mother is traveling to Louisiana to watch her compete at Miss USA. Gray grew up in Trenton, south of Ellsworth, with three siblings. Her parents, Kenneth Gray and Gabrielle Yorgancioglu, divorced when she was 10. Her father, a fisherman, got custody of the children. Yorgancioglu, who lives in Bar Harbor, says Kenneth Gray got custody because the property the family lived on was in his name. She lived one town away and said she talked to her children regularly, but wasn’t with them daily. She also had a hard team dealing with her divorce and the loss of her home, saying “my head is still spinning” from the experience. Marina Gray says that while living with her father she had to learn to fend for herself, including finding something to eat when there wasn’t food in the house. No one told her when to go to bed, or when to get up, or to be sure to do her homework. She was active in sports and school activities, but says she had to rely on other people for most of her rides. She ran track and was on the softball, soccer and cheering teams. She said she felt anxious at home, and sometimes stayed with friends instead of going back there. In her petition for emancipation, she wrote that despite an 83 grade average and serving as class president, she felt nothing she did could satisfy her father. Kenneth Gray, through a relative, declined to be interviewed for this story. Marina Gray’s fourth-grade teacher, Heather Dorr, said her teachers were aware of the challenges that Gray faced at home, that she would sometimes come to school hungry and often stayed at friends’ houses. And though she sometimes struggled academically, Gray was cheerful and motivated in school, and a natural leader, Dorr said. She served as captain of the cheering team that Dorr coached. The idea of becoming emancipated first came to Gray in discussions with her mother. As part of her emancipation petition, Gray was required to write out a plan for taking care of herself. She wrote that the family of her friend, Mikaela King, had offered to let her live with them for free at their Orrington home. She would attend Brewer High School and would be able to graduate a year early, based on the credits she had earned at Ellsworth High. She had been working as a waitress and had more than $1,000 in her bank account. She planned to join the Army National Guard, buy a car and go to college. Dorr attended the emancipation hearing and told the judge she had “full faith” that Gray would “live a great life and reach every goal.” Gray’s father also attended the hearing, according to court records. 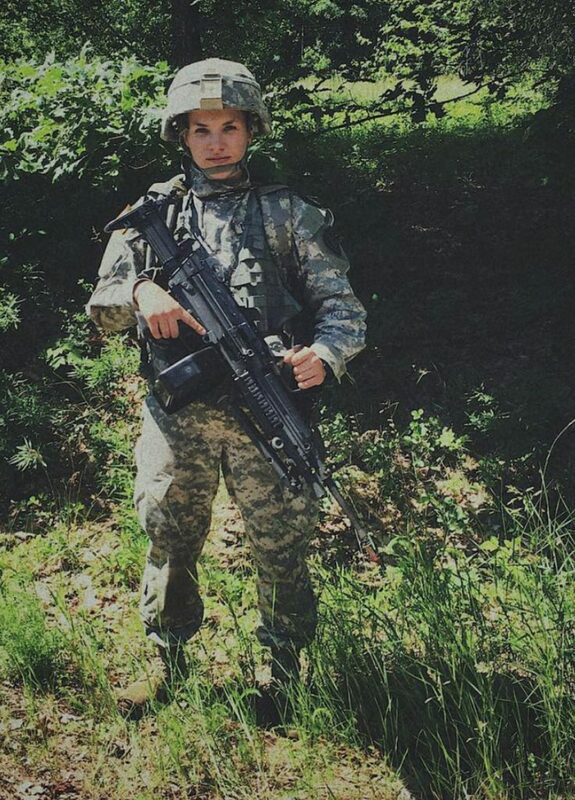 Gray graduated from high school in 2012 and has spent the past five years in the Army National Guard, earning tuition money and training on weekends. She graduated from the University of Maine in 2016 with a degree in interpersonal communication. Gray moved last year to Portland, where she’s been working as a waitress at Scales Restaurant and doing film work for Head Games Salon in Portland and its Controlled Chaos hair care brand. She films instructive videos about hair care and hair styles. 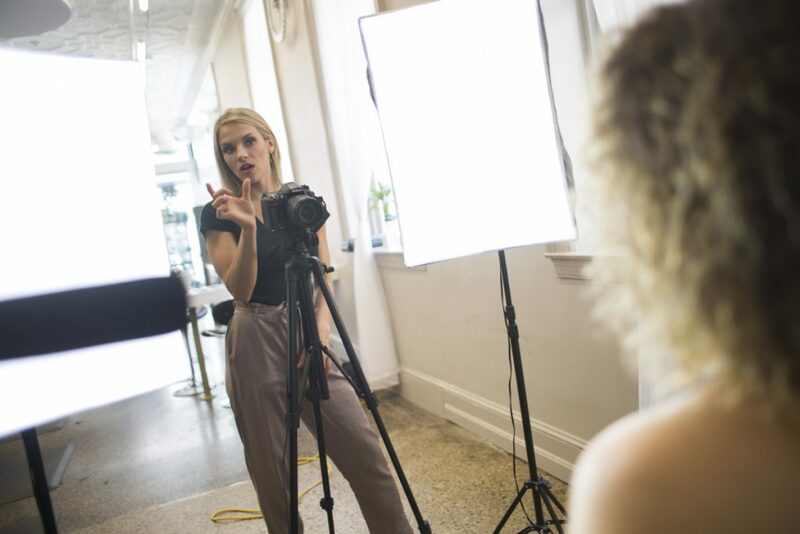 Gray would like to attend graduate film school, to some day work as a documentary filmmaker, and hopes that winning Miss USA might help her do that. The winner of Miss USA gets an undisclosed salary, a New York City apartment and resources “to advance personal and professional opportunities,” according to the Miss Universe Organization, which runs Miss USA. The winner also spends a year making speeches and appearances. Gray saw a motivational speaker while in high school and was enthralled with his talk about overcoming challenges in his own family and deciding to take charge of his life. After the talk, she went up to the speaker and asked him how she could get his job. He told Gray that she needed a story to tell. As a high school freshman, she didn’t understand what he meant. “Now I’m 23, and I’ve been living my story this whole time,” she said.